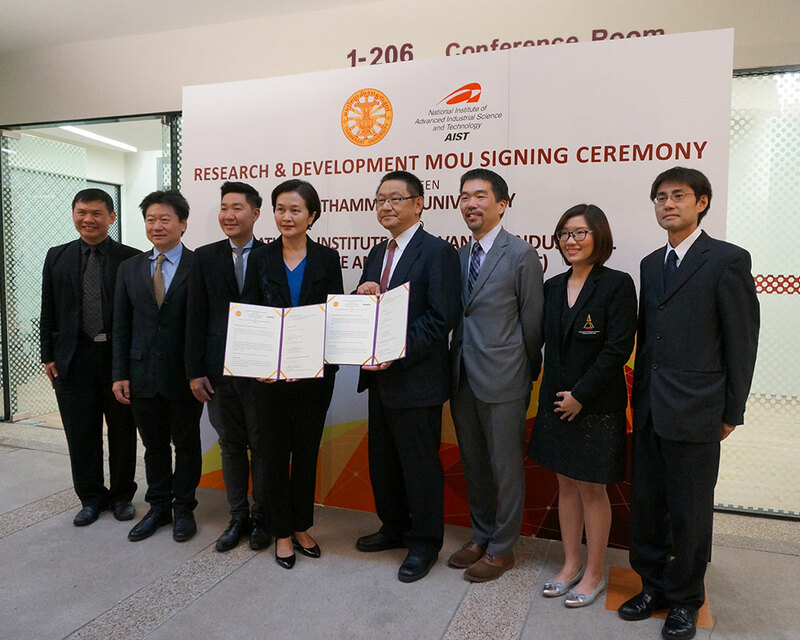 AIST and Thammasat University concluded a memorandum of understanding on comprehensive research cooperation (MOU). 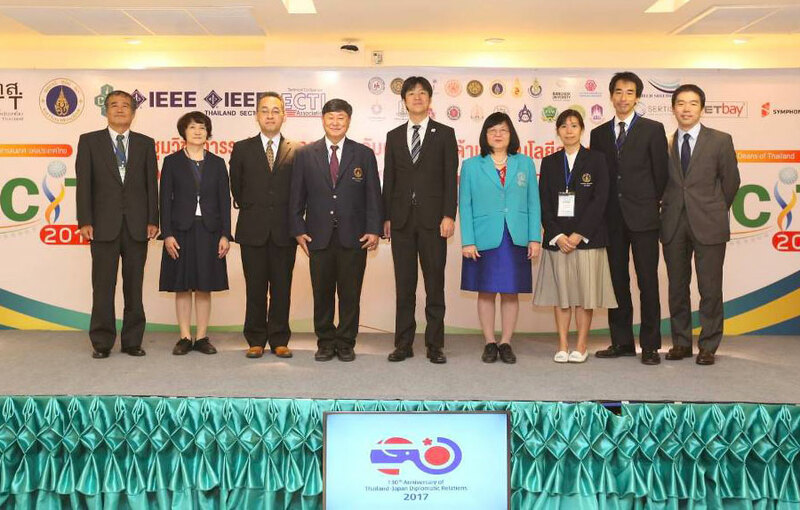 Dr. Satoshi Sekiguchi, Dr. Jason Haga, and Dr. Yusuke Tanimura attended a MOU signing ceremony at Thammasat University in Thailand. 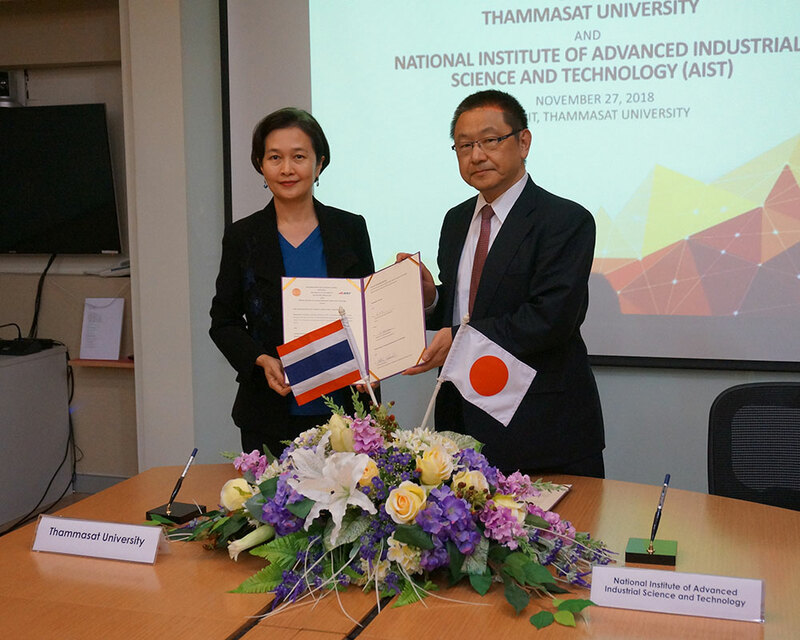 Under the new MOU, AIST and Thammasat University will work together to build an international community to exchange information and collaborate in the fields of artificial intelligence (AI), data science as it relates to artificial intelligence, system/infrastructure, human-computer interaction, and Internet of Things (IoT). The members of the collaborative research laboratory and the research groups below have transferred to the newly established Cyber Physical Security Research Center (CPSEC) and advance research under the new administration. We hosted a kickoff workshop for the TEIN funded “LandSage: Decision support for monitoring and mitigation of natural disasters (landslides, mudflows, and floods) in Southeastern Asia via the Cyber-enabled collaboration, analysis, navigation and observation environment (CyberCANOE)” project. This is a joint effort between Dr. Jason Haga of the Cyberphysical Cloud Research Group and Professor Jason Leigh and Bill Chang of the University of Hawaii, Manoa to build a visualization-rich decision support system for landslide disasters. This project also trains researchers in visualization technologies and builds capacity in the Southeast Asia region through partnerships with institutes in Thailand, Vietnam, Laos, and Cambodia. 10 representatives from these countries attended the workshop to learn how to install, use, and develop applications for CyberCANOE visualization systems. These state-of-the-art systems will positively impact research and society in Southeast Asia. Drs. 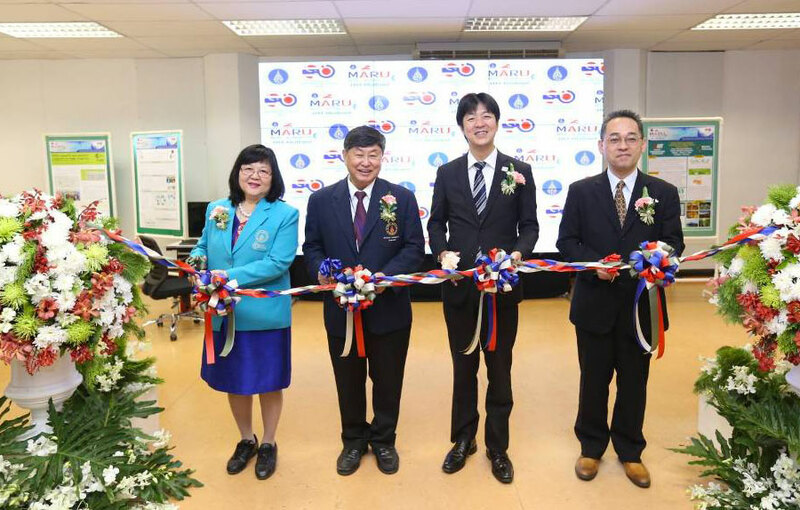 Yoshio Tanaka, Mikiko Nishikimi, Ryousei Takano, and Jason Haga attended the opening ceremony of Mahidol-AIST Research Unit (MARU) and the ITRI satellite office in Mahidol campus. 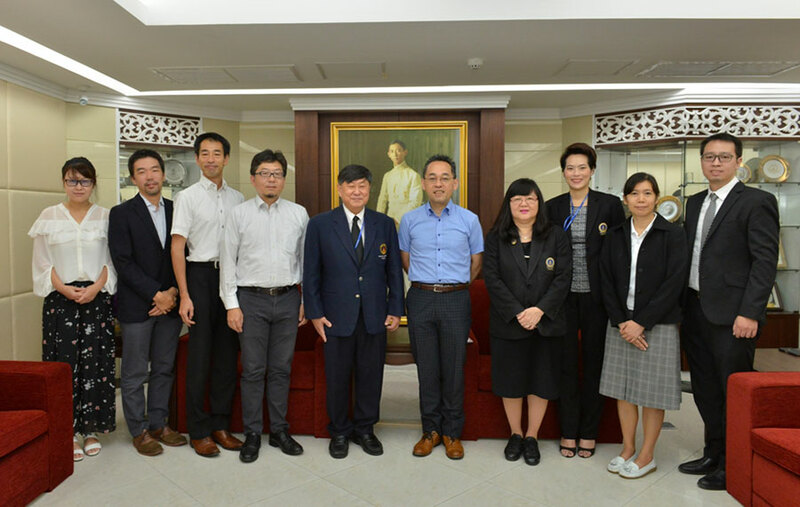 Dr. Yoshio Tanaka, Dr. Akira Mori, Dr. Ryousei Takano, Dr. Jason Haga and Dr. Kyoung-Sook Kim visited Mahidol University, Thailand and exchanged opinions with the President and the Vice President of Mahidol University and the Dean of the Faculty of ICT to strengthen research collaborations. 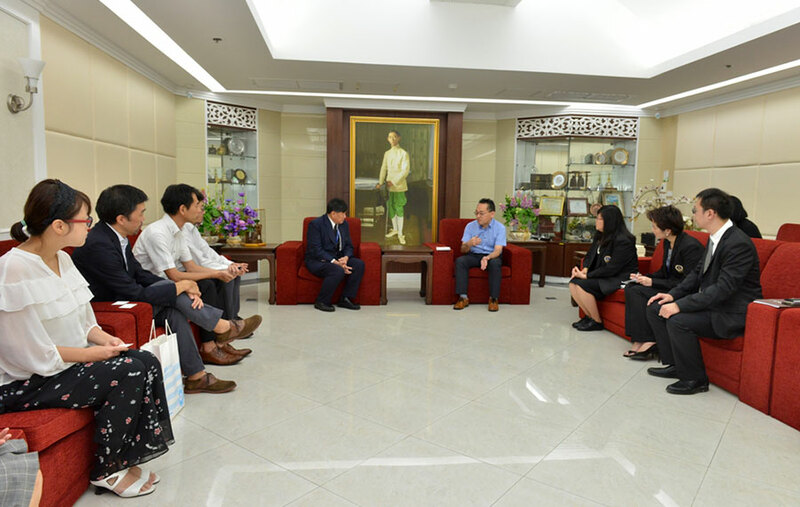 This is the first visit after the signing of the Memorandum of Understanding (MoU) between the Faculty of ICT, Mahidol University and ITRI, AIST. 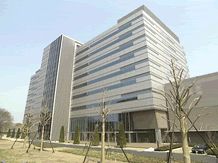 The research proposal, `Universal Server-aided Computation for Realizing Secure Private Data Processing` by Dr. Goichiro Hanaoka, a group leader of Advanced Cryptography Research Group, was adopted to the research area, "Development and Integration of Artificial Intelligence Technologies for Innovation Acceleration" of CREST, JST Strategic Basic Research Programs. 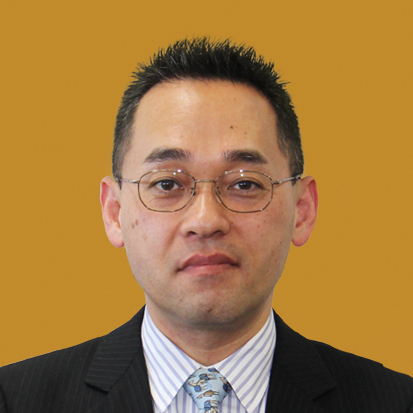 Dr. Takahiro Hirofuchi of Cyber Physical Cloud Research Group received the Best Paper Award at ACM SoCC 2016. The 1st round of 2016 AIST Recruitment of Research Scientists is now OPEN! Dr. Jacob C.N. Schuldt of Advanced Cryptography Research Group received the Best Paper Award at IMA C&C 2015. 2. “Creativity enabling technology” that encourages the creation and utilization of valuable contents. Copyright © 2015-2018 Information Technology Research Institute, AIST All Right Reserved.